While it is true that I so appreciate I took after a gene that did not have me suffer an acne-laden face growing up, there is still a time of the month that I am most vulnerable to having one. Yes, that’s the week before aunt flow comes. It totally adds up to an already hormonally influenced season of my month. Truth be told, what I go through is nothing from what I witnessed for myself, the ordeal of teeners when they break both arm and leg, spending fortune to see dermatologists to get their acne problems solved. For my “seasonal” acne episodes, what totally works for me is Proactiv. I have yet to find a brand that comes close in preventing breakouts and blemishes, the Proactiv Solution 3-Step System has always been a default choice for me. I tried some acne gels in the past but nothing was as effective as Proactiv. The Proactiv Renewing Cleanser and Repairing Treatment, which are Steps 1 and 3 respectively of Proactiv’s 3-Step System contain finely-milled, prescription-grade benzoyl peroxide with soothing botanicals. These ingredients gently exfoliate the skin, they unplug the pores and attack acne-causing bacteria. While the Revitalizing Toner helps remove excess oils and dead skin cells to prevent future breakouts, and the Refining Mask helps reduce inflammation. When the regimen is used on a regular basis, Proactiv eradicates the occurrence of pimples and also prevent future breakouts. 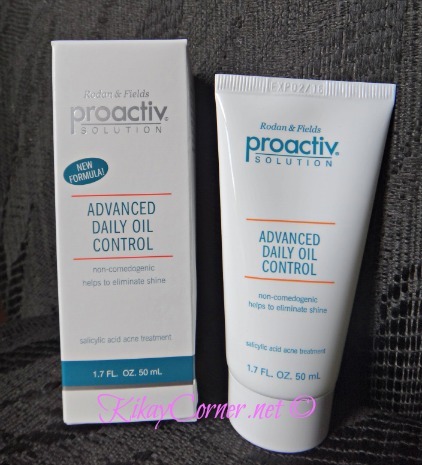 What I love about Proactiv is that it is mild enough to use on a daily basis. This is why I’m confident that my skin does not have to deal with drying, peeling and chemical scents that are all too common with other acne defying products. What makes Proactiv very effective anyway? It’s actually this ingredient that is unique to Proactiv – Benzoyl Peroxide. Benzoyl peroxide is a powerful ingredient that is effective against all kinds of acne (blackheads, whiteheads, and big red pimples). It is bactericidal, meaning it kills bacteria, rather than simply slowing down their growth. It also works very quickly improving acne as early as five days after starting treatment. It’s a great first line treatment but it’s also helpful to use in combination with antibiotics for severe cases. It may cause drying, peeling or redness if not delivered in the right amount (too strong concentrations) or surrounded by the right mix of ingredients. 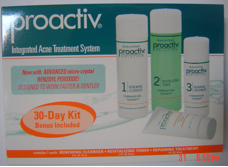 Proactiv’s 2.5% benzoyl peroxide concentration is mild, yet powerful enough to kill acne causing bacteria. It is finely milled, with proprietary advanced microcrystals that delivers the medicine without irritating the skin. Make sure to avail of Proactiv’s current promo as they released a Limited Edition 60-Day Bundle Pack with upsized Refining Mask (2.5oz instead of the regular 1oz) and Free 50ml Proactiv Advanced Daily Oil Control. These are exclusively available at Watsons and SM Department stores nationwide.